Demoubly Kokota is a research psychologist who holds a Bachelor of Social Sciences degree in Psychology from the University of Malawi, Chancellor College and a Master of Philosophy in Public Mental Health from the University of Cape Town, South Africa. He is currently a doctoral fellow at the University of Malawi, College of Medicine funded by the African Mental Health Research Initiative (AMARI). Demoubly’s main research interest is on task shifting and integration of mental health at Primary health care level in Africa. 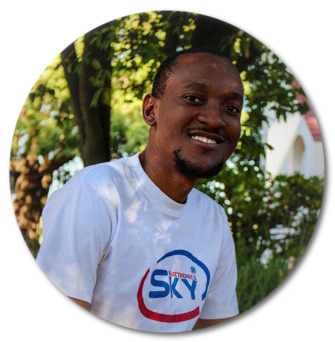 He has worked as a research coordinator on a project funded by the Scotland-Malawi Mental Health education programme (SMHHEP) aimed at training primary health care workers in Malawi on how to detect and manage severe mental disorders. He has also worked as a psychology lecturer at the University of Malawi, Chancellor College. Demoubly’s doctoral research is focusing on developing a collaboration model in the pathway to care for mental illness between traditional healers and healthcare workers in Malawi.